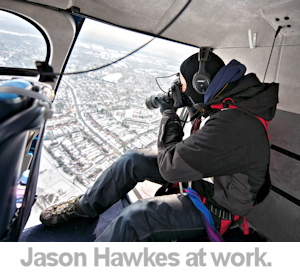 Jason Hawkes is a UK-based photographer specialising in aerial photography, with nearly 25 years experience of shooting from high above his subjects. Jason's commissions take him all over the World to shoot for a variety of clients including multi-national companies, producing books for the BBC and other major publishing houses and had his work featured on the front of acclaimed publications such as National Geographic. How did you get in to photography? I started by studying and then assisted in a London studio for around 4 months. Do you have any formal training or are you self-taught? Yes I did an HND in photography and then also around 1.5 years of a degree but never finished it as I had quite a lot of work on by then. I was assisting in a studio in Covent Garden and some friends and I used to look for interesting things to do at the weekend. We had a magazine that featured an article on microlights and so we booked a trial lesson down in Kent. I almost didn't get in the thing as they look quite flimsy. However as soon as we took off I was just amazed at how the earth looked from 1000ft. The flying side was quite fun but really what I wanted to do was capture the amazing views. 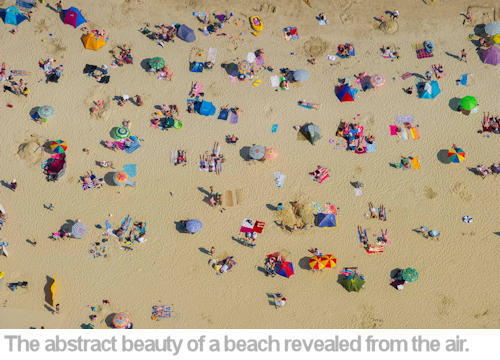 What led you to aerial imagery? Following that experience I purchased a microlight about eight weeks later with another two friends. One of them got his license and I would sit in the back on every flight we did over a Summer just taking photographs of anything I thought was interesting. After about three months I had a really nice portfolio of work and so took that to a magazine called “Photography“ who published an eight page spread. On the back of that I was lucky enough to get a my first book commissioned by Random House and from then on moved to shooting from helicopters. 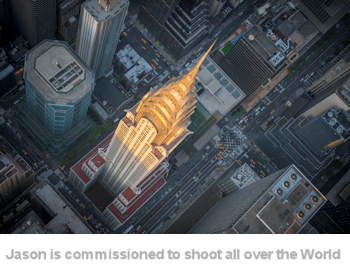 What does it take to make it as a successful photographer shooting aerial landscapes? I don't think it's really any different to shooting any type of landscape or architectural or editorial work. You obviously have to not mind heights. The main thing is being very organised and working very quickly. You might be up for three hours but one of those will be transiting so you only have a pretty small time window in which to shoot. How do clients use your work? Over the years my clients have changed. For about ten years I mainly shot for publishers and have done around 50 books. These days its architects, branding and advertising agencies. You shoot commercially as well as stock? At the beginning of my career everything was commissioned but now I'm just as likely to sell a stock image for a job as be asked to shoot it. 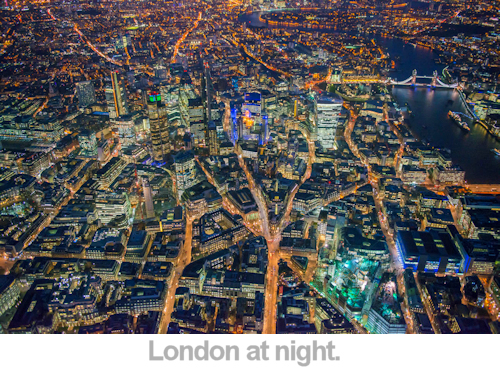 This morning for instance I've been asked for stock footage of London from companies in India and Sweden and a stock image for a design agency in Portugal. How do you see the popularity of drones affecting your work? It's definitely having quite a large affect, but funnily enough for most of my work, it would actually be cheaper to use a helicopter even if I had a couple of drones. I've used them once or twice and they are certainly amazing tools for certain jobs, but like any aircraft, helicopters included, they have their limitations. Flying helicopters over major cities is heavily regulated, how has understanding the legal side of the work helped your career? Knowing the right people you can certainly get permission to do pretty much anything in the UK. I can only think of two occasions when I've not been able to get permission to do a particular shoot. 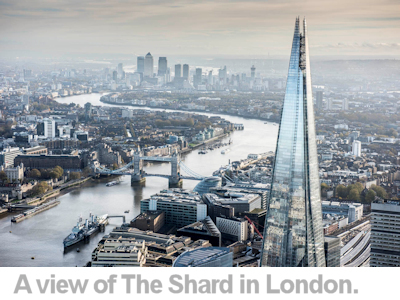 The other day for instance we were flying down the Thames at 450ft, so well below the height of most of the buildings on either side. Has there been any secret to your success as a photographer? Just sticking at it. Even having worked over the years for most of the worlds top brands, shot loads of books and a cover for National Geographic, which is my favourite ever piece of work, you still have to try and get bits of publicity constantly and pitch to new clients all the time. What's your take on shooting video for clients or stock? I do shoot quite a lot of footage now, but never for stock as it's just too expensive. I use a Cineflex or Shotover for the really best shots, but they're very expensive and on top of that is of course the cost of the helicopter which is around £1300 for each hour. I do also have a small 4K camera and mount system of my own which is great for quite basic moves. What do you see in the future for photography as a career? I wish I knew, absolutely no idea. Best piece of photography or business advice you were given? I don't think I was ever given any. Do you have one bit of advice to anyone starting out as a commercial phoptographer? It's a long road but definately worth it. I've asked hundreds of people over the years who commission photography what's the best way to approach and show your work to them, but everybody likes something different it seems so there is no right answer. The industry has changed so much since I started out and I suspect will probably keep doing so, so you just have to try and change with it. All images are © Jason Hawkes and used with permission.